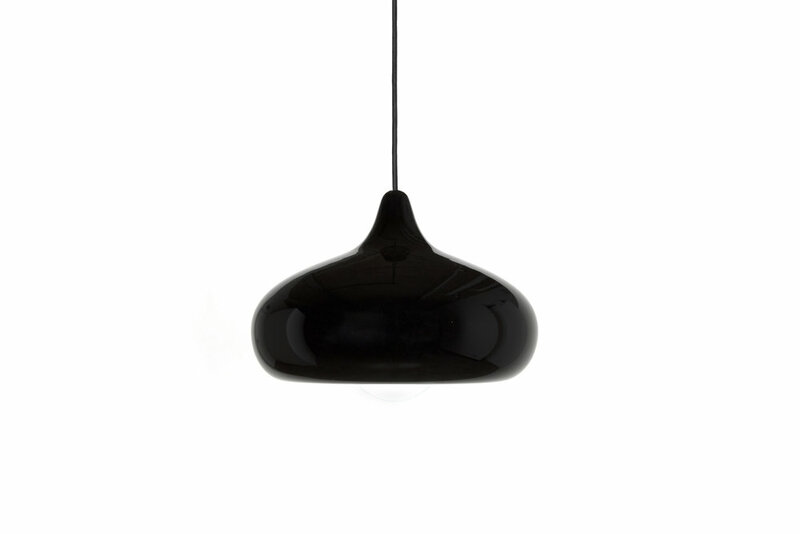 The chroma pendant is the result of an experiment in material and form manipulation. The main outcome of the design was to have two bodies, pendant and light, interact and inform one another. The fluidity of the glass provides the final form with a distinctive function: whilst directing the light downwards, it also visually hugs and conceals the globe at certain angles, achieving the intended interplay of materials. 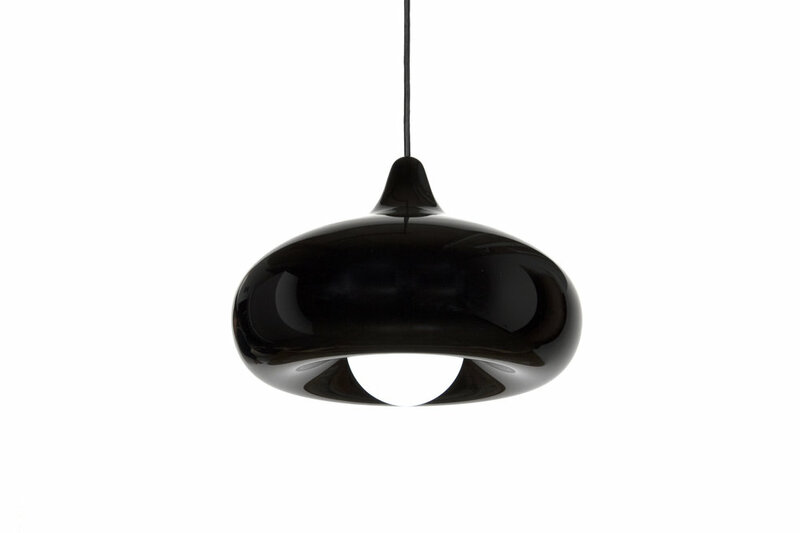 Made from hand blown glass, no two are exactly alike, tho the graceful and curvaceous form is distinctive every time.